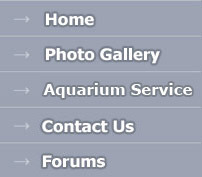 Maintaining calcium and alkalinity levels in your reef aquaria can be challenging. It is certainly labor intensive and costly to do so when dosing two-part solutions, calcium chloride powders, alkalinity buffers etc. Many of these are hazardous to handle and prepare which further expedites the average hobbyist to question, "Isn't there a better way?" There certainly is, and as the hobby trends toward reduced water change schedules, one solution increasingly stands out as the better way; Calcium reactors. Calcium reactors dose a 24 hour stream of calcium ions and carbonate ions into your reef system. This is the ideal ion pairing that the popular two-part liquid additives offer, though at a much higher long-term cost, and it is up to you to dose it daily and dose it correctly. Calcium reactors automate this process and relieve you of the daily measuring and dosing burden. Aqua Medic Calcium Reactors house a generous portion of pure Hydrocarbonat media which is dissolved by the controlled dosing of CO2 gas to lower the pH within the unit. To ensure consistent and safe use of the CO2 gas we recommend using our pH Computer to regulate the CO2 input. Combined with our CO2 Regulator, M-Ventil Solenoid, Bubble Counter and High Pressure pH Probe you will enjoy accurate, consistent, safe, and easy maintenance of your alkalinity and calcium levels. For systems with large populations of SPS corals try combining the Calcium Reactor system with our Kalkwasser Stirrer for a new take on the old-school teamed with the latest in the new-school for results you won't believe! 400 100 4.0" 5.75" 14.25" 16.75"
1000 250 7.625" 7.625" 21.75" 24.25"
5000 1250 20.0" 12.0" 38.5" 41.0"
400 2.3 liter 1 liter 76"
1000 10 liter 5 liters 96"
5000 30 liter 15 liters 96"
It is strongly recommended that you use a pH Computer or Controller with a High Pressure pH Probe to manage the pH inside the reactor. Replace your media every two years, or when it seems to be half gone. This avoids compaction, flow restriction and anoxic conditions within the reactor. Check the water and CO2 flow rates regularly for deviations. 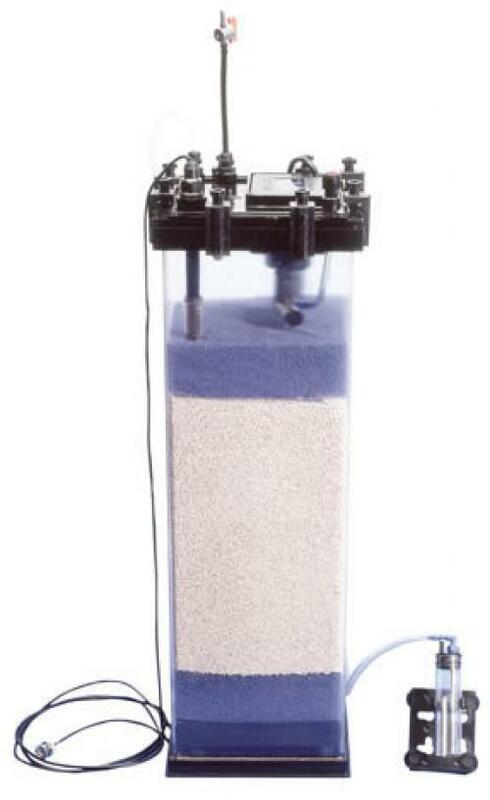 "While using a Calcium Reactor it is more important than ever to regularly maintain any submersible pumps within your system including the Calcium Reactor circulation pump . Cleaning the magnets and impellor pockets of mineral deposits, which are accelerated by a Calcium Reactor, becomes essential for these pumps to achieve a long life and to maintain optimal performance." "Use a Kalkwasser Stirrer in conjunction with your Calcium Reactor, as a part of your automated top-off system, to achieve outstanding calcium and alkalinity levels in even the most demanding SPS displays."